As we’re learning on The Takeout, people have super-strong feelings about condiments. In our own in-house taste test, most people could identify Heinz ketchup in a blind taste test, but preferred a more savory version. And three of our staff members have markedly different opinions on their preferred sauce in which to dip fries. For example, Takeout editor Kevin Pang favors a combo of ketchup, Kewpie mayonnaise, and hot sauce. 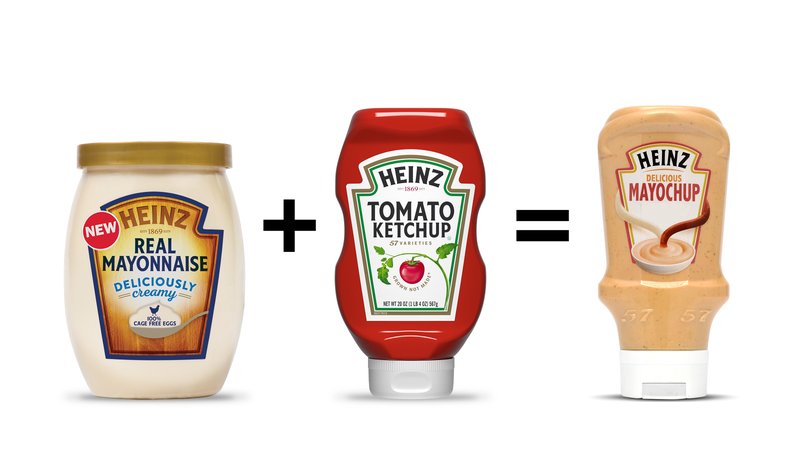 Mayochup is piggy-backing off of Heinz’s other announcement: the fact that there is now a Heinz mayonnaise to go along with Hellman’s and Kraft on your grocery store shelf. So until Mayochup (maybe they should have workshopped that name a little longer) is available worldwide, the company says that customers can easily make their own by mixing Heinz products like ketchup and mayonnaise. If you really want to see Mayochup in the U.S., you just have to click on the below tweet so that Heinz gets 500,000 votes for yes. And apparently, you will not be alone, as Heinz only needs 40,000 more votes at this writing to cross that successful threshold. Our question: Besides burgers and fries, what else would you use this condiment for? Isn’t it basically just Russian dressing?